If you have a small kitchen or you are trying to store hard to store items such as wine glasses and stemware or even wine bottles, don't forget to consider the space just below those upper cabinets. ​This can be a great place to work with. Wine Glasses for example can be very difficult to store as they use up valuable cupboard space due to their size and width. But by hanging them under the upper cabinets, they are there when you need them. ​Bananas are another simple item that can come off your counter. 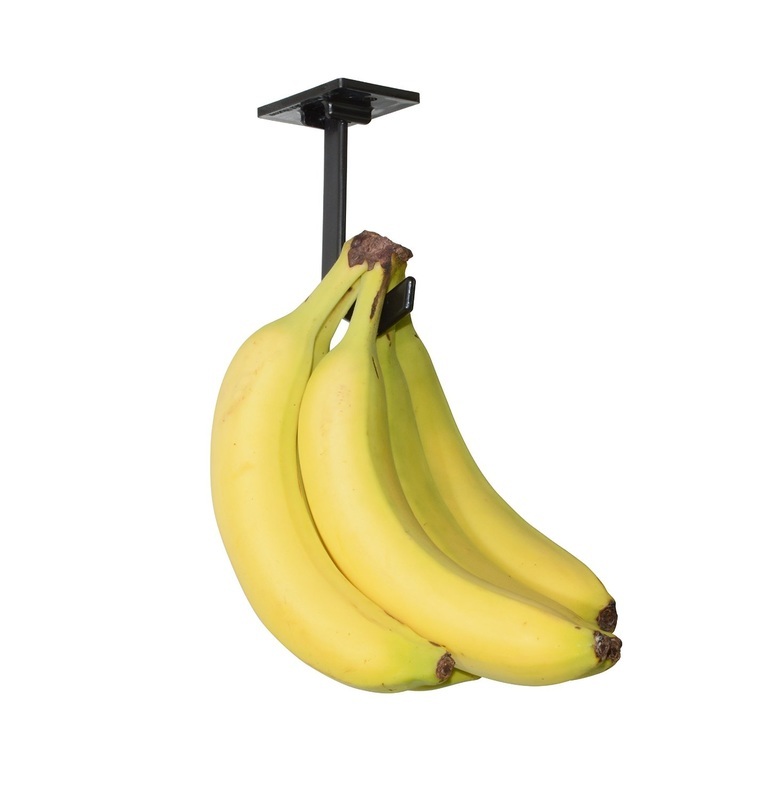 You can get a hook just for hanging bananas to keep them from bruising. There are so many ways you can utilize the area under your uppers even knife storage! Check out the items below, and see if these might work in your kitchen. Small appliances can go under there as well as long as you have a power source, so check out my page on small appliances such as coffee pots. ​Many people downsize, and unfortunately so does the kitchen. It can be difficult to go from a huge eat in kitchen to a tiny sized one. Many retirees or RV living as well and many of these products can fit in an RV kitchen, which tends to be compact. So, here are so more ideas to get things off your counter and out of your cabinets so that there is room for other things. Wine Glass Storage - I thought this was a really cool way to store stemware. This way it takes less room in cabinets, but also looks good on display too. Just hang them upside down and you are ready for that next gathering. Stemware can take up a lot of room in cabinets. Now with them out of the cupboards you have room for other things. 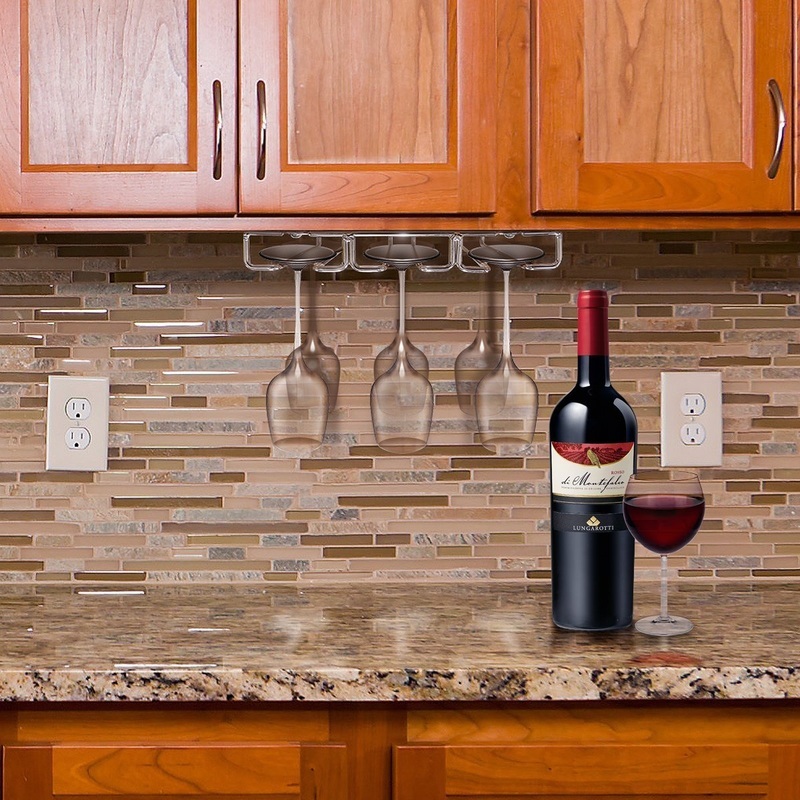 Wine Bottle Storage - Using the under upper cabinet area totally utilizes the space for wine bottles. What a great way to show off your collection and to see what you have quickly. It is not in the way and you can add the stemware storage above as well. Knife Storage - This unit installs under the upper cabinets and swings in and out with a touch of the finger. 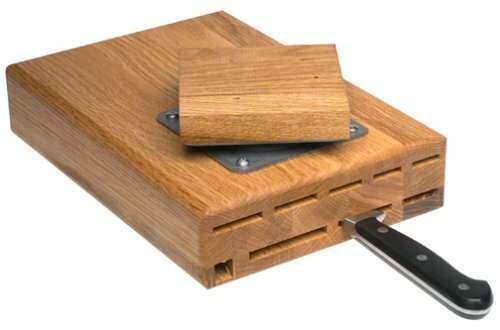 This puts the knives away sideways out of your way until you need them. No more storing huge blocks on the countertop. This unit holds 8 knives ready for your use and out of the way off the counter top. Under Cabinet Lighting - Instant lighting without any wiring. 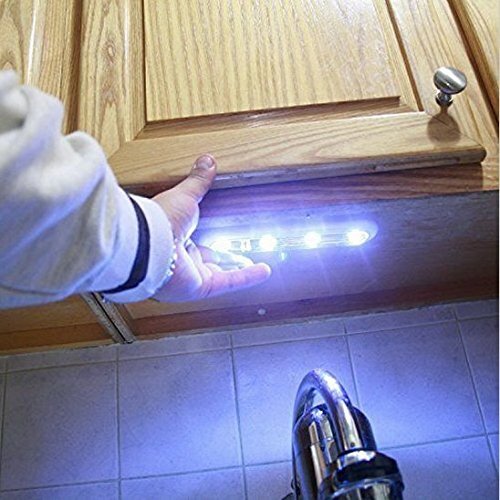 If you want more light for your countertop surface and don't want to install power, then these portable light will do the trick. 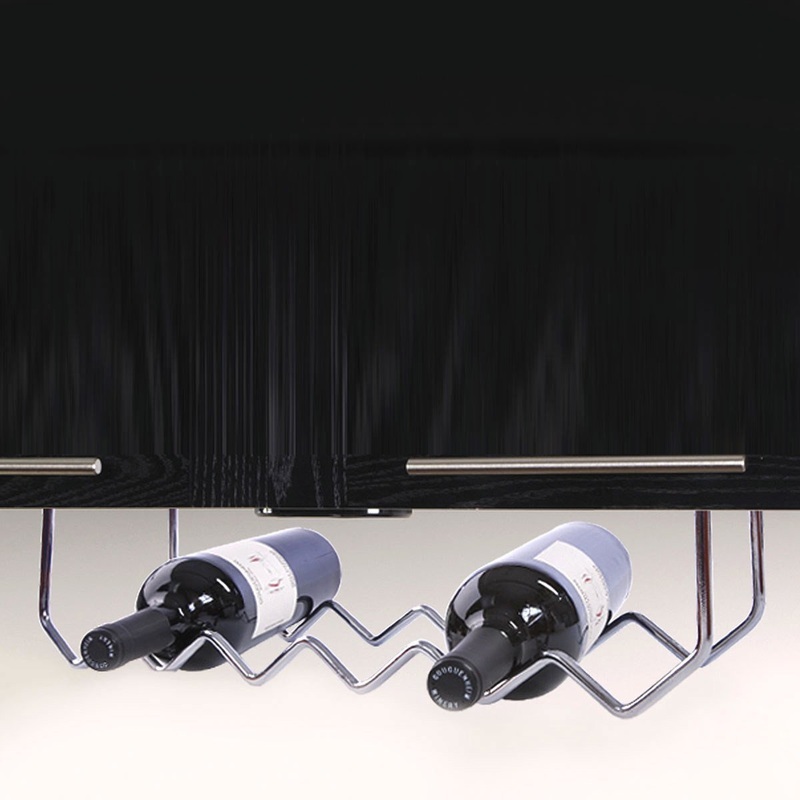 It simply sticks to the underside of the upper cabinet or anywhere in your home, and by simply touching it, it will light up the space. There is a lot of things you can do with those upper cabs! 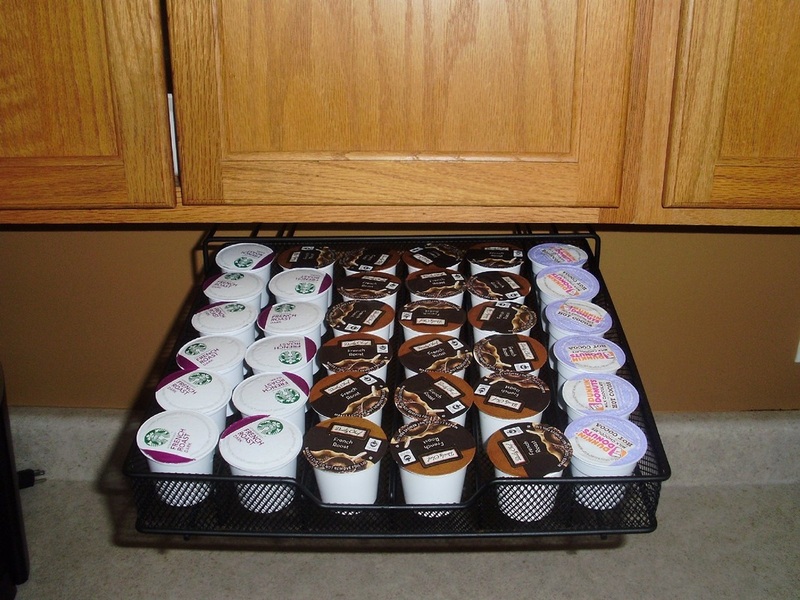 Keurig K-cup Holder - This installs under the upper cabinets and keeps them off your countertop at the same time you can see at a quick glance just what you have. These are a quick way to make a coffee but can clutter up the counter, so if you can get as much as possible off the surface then you will be organized and have room for other things. Banana Holder - Under the Cabinet hook just for bananas. Even your bananas can have a home under the upper cabs! ​This keeps them off your counter top and actually keeps them fresh longer as they don't get bumped and knocked about when they hang this way. You could use this hook to hang a bag of fruit or veggies as well, get creative! Get as much off the counter tops as you can . ​If you have downsized, or simply want to organize your kitchen better, then start by clearing out the clutter and donating things you don't use anymore. When I became an empty nester (kids flew the coup) and we downsized, I went through my kitchen and donated many dishes and cutlery and even Tupperware that I didn't need anymore. Once I saw the space I had left, I went to work to make it all fit neatly and organized in such a way as to not need to crawl to the back of the cabinets to find things. ​For example if you have lots of tins, then invest in a tin or can rack so you can always see what you have when you open the door. Check out my Kitchen page for cabinet interior ideas to create more room too.